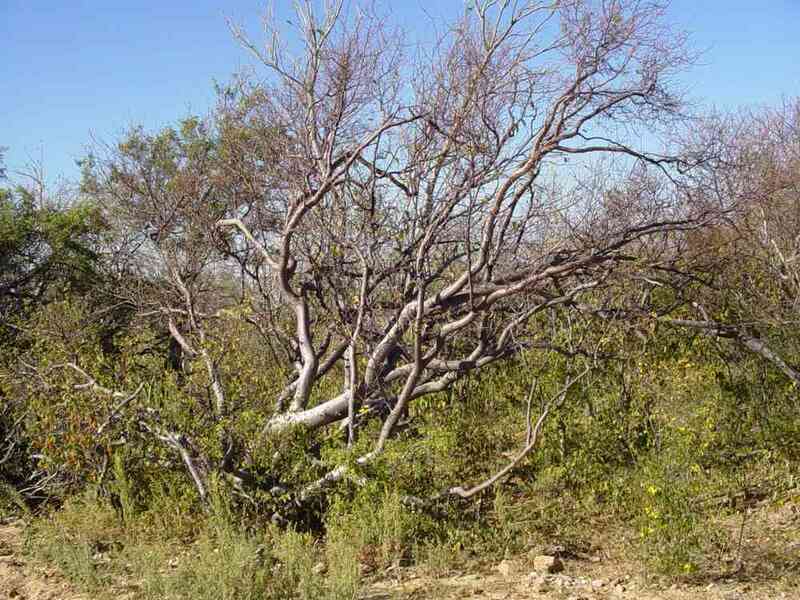 In TDF a tree to 32 feet (10 m) with a sometimes massive trunk, smaller in thornscrub and desert communities. 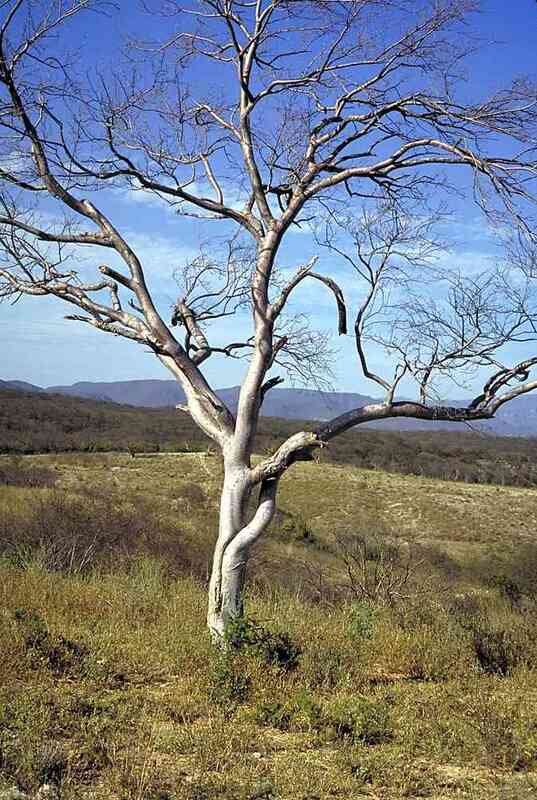 Its smooth charcoal bark does not exfoliate; the wood emits a pleasing aroma familiar in the genus. 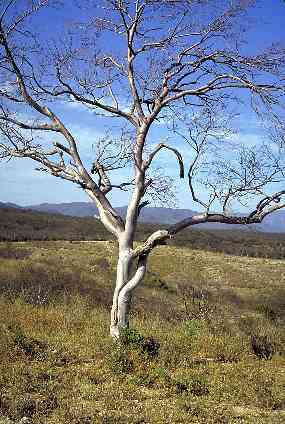 In the dry season the burnt red hue of its slender outer branches stand out. 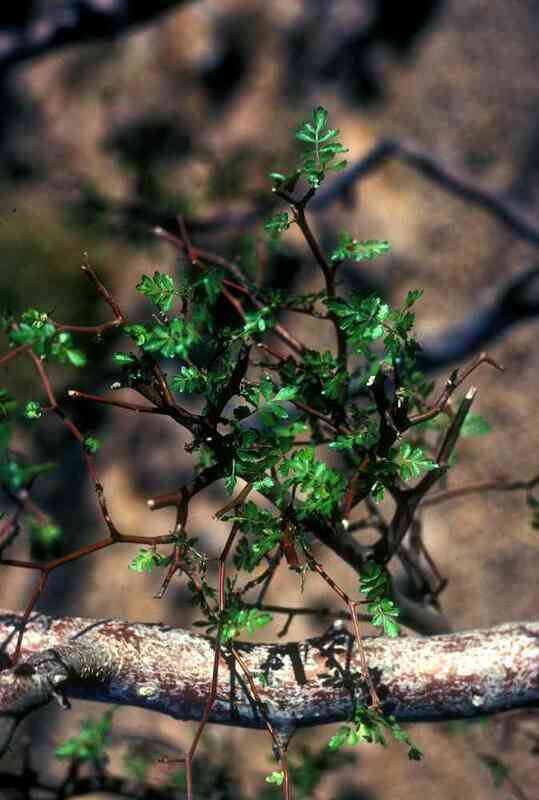 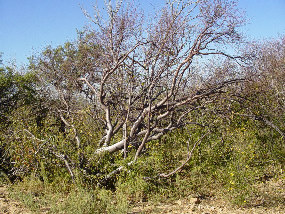 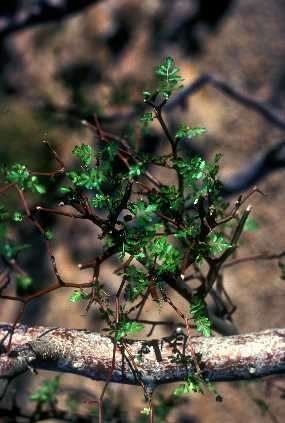 Unlike other TDF Bursera , torote prieto responds to significant rains in any season with a proliferation of petite, lobed leaves on its spreading branches.